Larissa just got back from South Africa, yay. Best news? The first thing she saw when she turned on her phone is a notification for a new sale! For those who haven't been following our 30 day challenge, exactly a month before we went to visit her parents for Christmas, we started a new dropshipping store together. The purpose? To give Larissa a full time income to replace her teaching job. The goal? Have our store up and running before boarding a plane to S. Africa. We had our ups and downs, problems getting suppliers, getting our LLC and resellers certificate, and even started doubting our niche selection. This post sums up the challenges as well as the successes...but I'm pretty sure the sign and our smiles are a good indication of how the challenge went! I knew it was going to take a while to get our LLC and to get our tax-exempt resellers certificate so we made sure to get the paperwork going for that straight away. It ended up taking way longer than I thought, especially with the Christmas and New Year holidays. It would have been a trillion times easier just to start the store under my personal name as a sole proprietorship and get a California seller's certificate online which literally takes 2 minutes. We also had trouble finding suppliers. We started losing hope as there weren't any other dropshipping stores in our niche, and thought maybe they just don't approve online retailers. Also since it was the holiday, it was hard getting people on the phone. But we kept pushing forward, following Anton's method exactly and suddenly, success! We got our LLC in the State of Wyoming since they have no sales tax, and no state income tax which can save us a thousands of dollars in taxes as well as protect our assets. I decided on Wyoming instead of Nevada or Delaware since a bunch of the international members from Europe and Australia (on Anton's private member forums) had did the research on which states were best for those who wanted to sell in the U.S. I used My USA Corporation as it was recommended by other members. 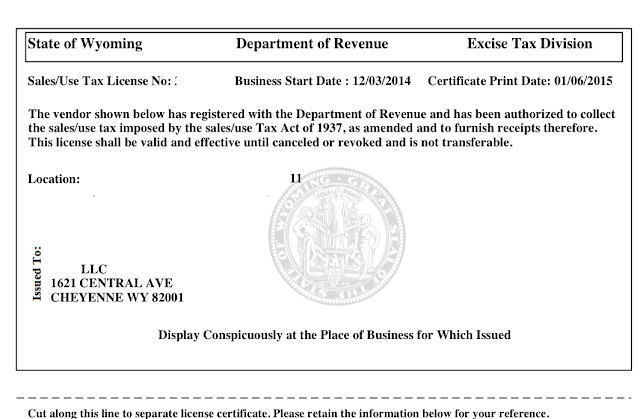 Overall it was super quick and easy to get the actual LLC...however, I won't recommend getting set up as a Wyoming Company because getting the tax exempt resellers certificate ended up being a huge hassle. Basically the state needs a physical address in Wyoming and they won't accept a registered agent's address, PO Box or a UPS Store Address. The good news however, is if you're international, they accept your international address, I used my Thai address and it was fine. So, choose WY if you're international. Choose NV or Delaware if you are a US Citizen. Or to make it even easier, skip the resellers license all together and just get the LLC and fill out a tax exemption form as 99% of suppliers should take this. Here's a coupon to save $25 on your LLC with My USA Corporation: Use this link and coupon code JOHNNYFD0924 when checking out. Sales are starting to come in! If you ever run into Larissa at PunSpace or on the street, ask her how excited she was when the first couple of sales started coming in. The first was a few days after we arrived in Cape Town, South Africa to visit her Aunt. We were just getting ready for dinner when Cha-Ching! Then the next two came in while she was visiting old friends and having lunch. And the most recent and best sales came in just today as she was getting off the plane back to Thailand. In total the store has $6,934.98 in sales so far, and we've spent $100 in advertising which means, it's the first month this store is live and it's already profitable! We're still waiting on the shipping quote for today's big sale but we're estimating a profit of around $700 which is insane and better than the profits from my main niche. 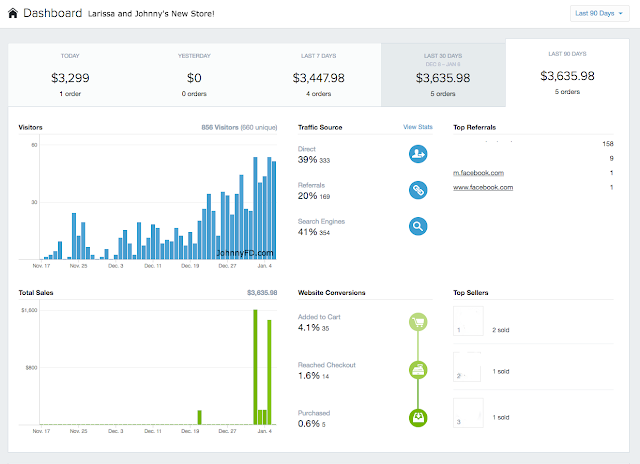 Now we just need to add more products and optimize the store for better conversions to really crush it! 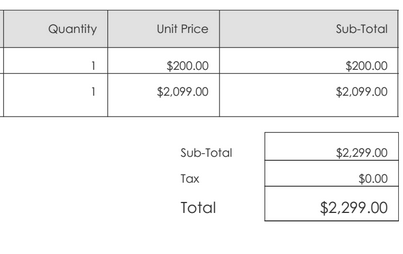 Edit: We just got our invoice and the shipping on this item was only $200, which brings our profit up to $924.33!!!!!! Larissa is going to freak out when she wakes up and sees this as that's what she used to earn in a month teaching English just twelve weeks ago. So basically...even though we had our doubts about the niche, problems getting suppliers, and had to wait twice as long as expected for everything that finally come through. It's only been a month and a half and the store is not only completely live, but also profitable. I really think this store is going to replace Larissa's full time income sooner than later and I'm excited to have an entire new stream of income. Keep in touch to see January's income report where I'll let you know how the store did. If you want to start your own dropshipping store, you can follow the same course that Larissa and I both took at www.AntonMethod.com. Best of luck to everyone in 2015. 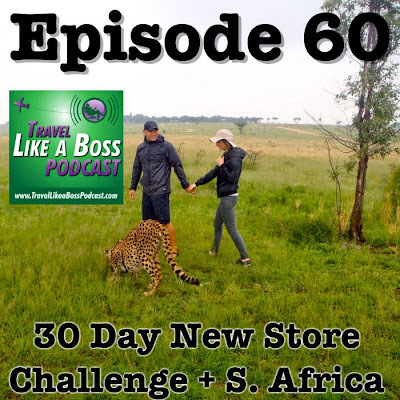 Listen to Episode 60 of the Travel Like a Boss Podcast where Larissa and I sat down to talk about the results of the 30 Day Challenge, the ups and downs, struggles, and our time in South Africa. there is one thing i really dont understand with dropshipping, lets say you have 100 products from 3 different manufactures or suppliers, so what is now when a customer from you orders 3 products from different suppliers, he would than get 3 packages at different times .. how do you manage this ? 99% of the time people only order a single item or single brand at the very least. Once in a while I get orders from 2 or 3 brands and I just forward each brand a separate order and send the customer 3 different tracking numbers. I've never had a problem with any of it. Hey really happy to help Michael. Feel free to ask me anything inside my progress thread on Anton's member forums. 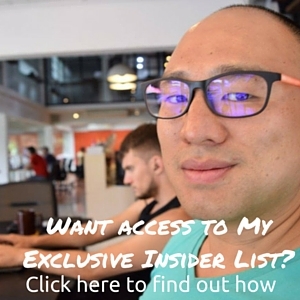 - How do you compete with eBay and Amazon regarding niche selection? I find that these 2 powerhouses stock almost anything people look for. Or do you try to find a niche that aren't sold by them? - Anton talks about finding a product that appeals to the upper middle class and less than $1000 as customers would want to call in if it's greater (which means more work for you). Seeing your product price is more than 3X do you think it's risky and more work for you? I don't worry about eBay at all as those buyers are completely different than the ones we try to target. Same with Amazon, people with Prime normally don't' shop anywhere else. But there are still millions of shoppers who still use things like Google Search, Bing, etc. 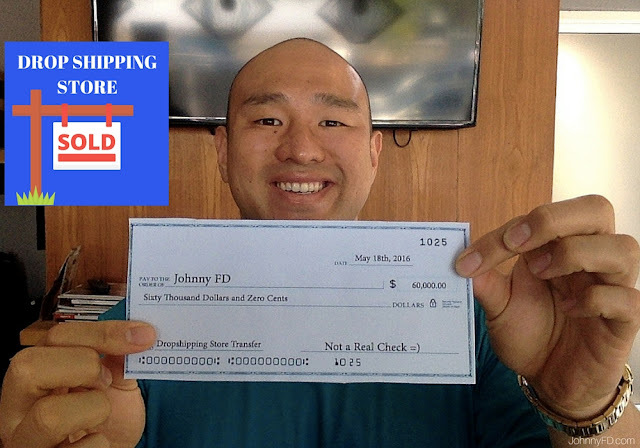 Price: I started my first store with products between $200-$1,000 as Anton recommends and only started selling more expensive products on my 2nd store after I got the confidence, backup capital and customer service automated enough to be comfortable doing so. There is a HUGE untapped market potential for dropshipping higher priced items as in $3,000-$30,000 items online that most people don't have the skills or confidence to go after and I 100% think going through Anton's course (www.AntonMethod.com) and starting with what he recommends is the best first step. I'm a new reader to your blog and enjoy reading your posts. 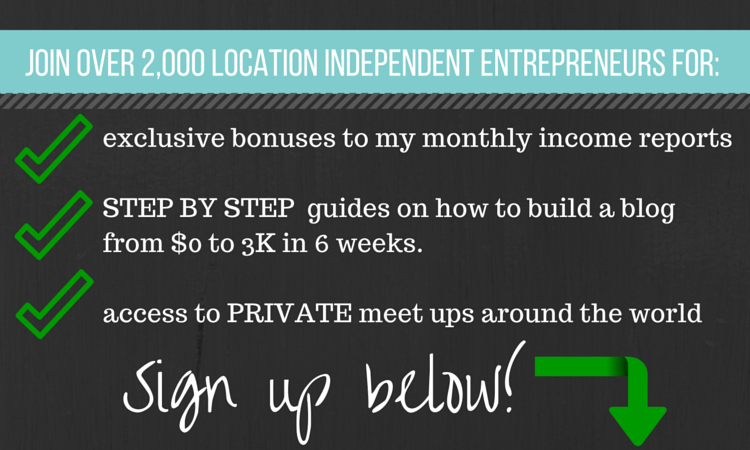 In your 30-days challenge, you registered a LLC to do the business. Can a non-US resident do the same? How can you advertise your products and your store?